Halloween marketing probably isn’t going to be right for everyone – at least the thematic type of marketing that some people plug into their usual mix of adverts, tv slots, etc. But if you have anything vaguely creepy that you are trying to sell, this time of year is pretty much a gift. Halloween is big business in the states – it was never such a big thing in the UK, though that has changed as the internet has collapsed down distance and culture into a morass of Facebook and Twitter chatter. Pokemon Go really seized the opportunity Halloween offered. The game had been trailing off a little – you don’t have to read the news stories to see this … just observe the smaller numbers of people walking around and swiping upwards on their phones. As people collect all the Pokemon and level up, it gets increasingly hard to move forward in the game, and there is going to be some attrition. Some people are just going to give up because the novelty wears off – not to say they won’t get hooked back in by things like this, and new releases of Pokemon, but for the most part they leave the app untended on their phone. A Festival Like Halloween Is Tailormade For Pokemon – How Will They Capitalize On Other Festivals? 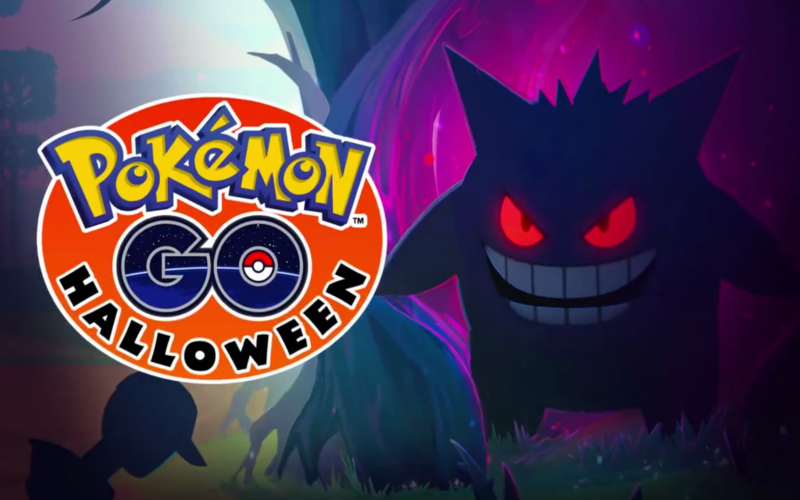 For the last five or so days, ending today as Halloween ends, you have been able to capture rarer Pokemon like Gengar, Cubone, Marowak, Haunter and Gastly. Add into this the increased points you get for catching, and evolving, and buddying with Pokemon and there is a real reason to turn that app back on get walking around to those Pokestops. It will be interesting to see if there are events like this tied into the other holidays as well – Pokemon tailored to the festival in question being easier to catch, or at least more plentiful. Having products that can be adapted like this is a boon, but just being aware of the massive surge in interest in these kind of things during holiday periods can help you sell your products. Churches, which aren’t necessarily going to jump on the more out there Halloween traditions have mostly been focusing on things like pumpkin patches and “trunk or treats” – so even they are recognizing the draw. Funnily enough they may also be getting increased visitors to the outside of their buildings too, as a lot churches are Pokestops also. I believe that MacDonalds is already activated as a chain linked to Pokestops, and I have seen lots of Publix Supermarkets too that capitalize on it. The potential to sponsor themed Pokemon events around your store and bring people in for certain product lines is endless. Circle K did the same thing with Ingress, Niantic’s predecessor to Pokemon Go. It’s a new area for marketing, and I wonder how long it will be before some enterprising business creates its own version of the game, or something similar to it, where people can collect animals or games by going to the store. What if every time you went to MacDonalds your kid got some new element to a computer game with their Kid’s Meal? What if you started rewarding people who eat healthy by giving them new characters or equipment for a game they are playing? After all, depressed and somewhat housebound people have leaving their homes to collect Pokemon – think of the marketing potential where you can get someone up and moving.